Columbia Crest continues to domimate my selections for everyday American table wines. There is not another producer I have found that is able to produce such quality wines at these price points, and with such wide availability. For the 2010 vintage, there are selections in the sub-$10 range, such as the Two Vines Cabernet Sauvignon (87 Points, $7) and the Grand Estates Cabernet Sauvignon (88 Points, $10) that offer a stunning expression of the unique terroir of Washington state for a bargain value. The next level of wines come from the Horse Heaven Hills appellation, and are labeled “H3” in remarkably attractive bottles. The winery produces a Cabernet Sauvignon, a Merlot, a Chardonnay and a Blend called “Les Chevaux” under this label. The latter is one of the better $15 wines you’ll find anywhere, and is worth a special trip to seek out. Columbia Crest H3 Les Chevaux Horse Heaven Hills 2010, 91 Points, $15, 72,000 Cases Produced- Inviting nose of floral, elegant red plum and cherry fruit that shows off elements of baking spice. Supple and plush on the palate with a controlling streak of creamy vanilla bean holding together the red currant and blackberry fruit notes, and finishing with a blast of exotic spice that lingers long beyond the fruit and oak influences. Juicy and complex without being overripe, light on its feet. The spicy finish is commanding, picking up just a dash of mineral as well. Merlot, Cabernet Sauvignon and Syrah. Before the most promising NCAA Tournament in the last twenty years begins for Indiana, I thought it would be appropriate to take a look back at all of the great players to wear the Candy Stripes since the Hoosiers last won the National Championship in 1987. However this season turns out in the end, at least three players from this year’s team are well deserving of their place in Indiana lore, alongside several other greats who fell short of bringing home the big prize. *** In order to be eligible for inclusion, at least three seasons of collegiate play were required. Notable players that missed the cut as a result include Jay Edwards, Jared Jeffries and Cody Zeller. At 6-8, Evans presented a big time match up problem with his versatile shooting ability. He could light it up from the perimeter or bang it inside, and he was also able to be a strong force on the boards. 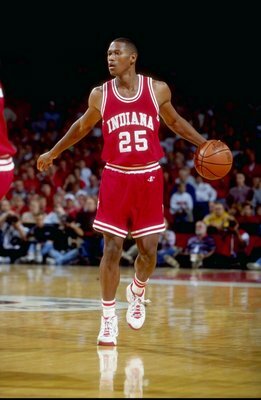 He was utilized off the bench as a freshmen during the 1993 season that saw the team elevated to the #1 spot in the AP Poll heading into the tourney, but it later years he became the primary scoring threat for the Hoosiers, and holds a spot in the program’s all time top ten scorers list. He was to be the golden boy of Indiana Basketball, a home grown kid with polished fundamentals, but the fact that he never brought the Hoosiers a championship has led some to erroneously conclude that he fell short of expectations. 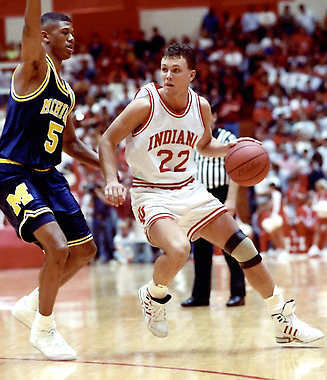 In reality, Bailey averaged double figures in scoring for each of his four seasons in Bloomington, culminating with a team high 19.6 over the 1993-1994 season while he earned a spot on the All-American Team. With Bailey in the backcourt, the Hoosiers advanced to a Final Four, an Elite Eight and two Sweet 16 berths over his four seasons, the only player on this list to have played in a Sweet 16 game in every season of his career. His scoring prowess places him firmly in the top ten of the all-time leaders list. 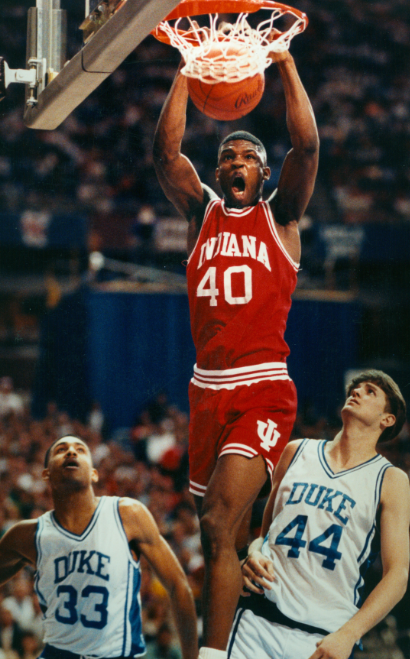 During the regular season, he will probably be most remembered for leading the upset win over then #1 Kentucky in December of 1993 and gracing the cover of Sports Illustrated, the last Hoosier to earn that honor. His legacy will always be the three point shot he hit in December of 2011 to knock off the #1 ranked Kentucky Wildcats while Indiana was still rebuilding and unranked. The impact of that shot will always be immeasurable, but Watford is worthy of this list even outside of that shot. He battled through a 10-21 season as a freshmen to eventually earn a #1 seed as a senior, averaging double figures in scoring each year. His ability to shoot the three at his 6-9 height, especially while trailing on the break, made him a consistent offensive threat and one of the most effective offensive sparks for the Hoosiers’ potent scoring assault over his final two years. 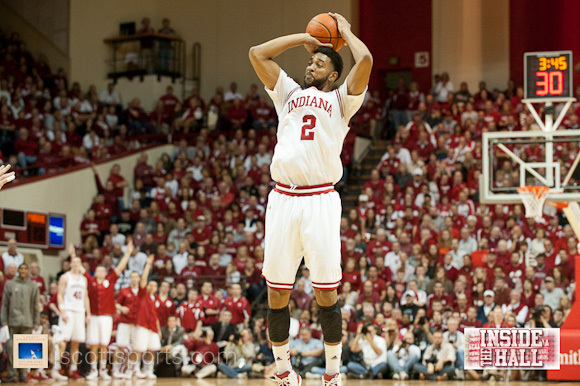 In his senior season, he shot 49% from beyond the arc, which ranks fourth all time among IU shooters with more than 100 attempts. A true Hoosier, he chose to return for his senior season, arguably hurting his draft stock in the process, but delivering a season to remember for the Hoosier faithful. 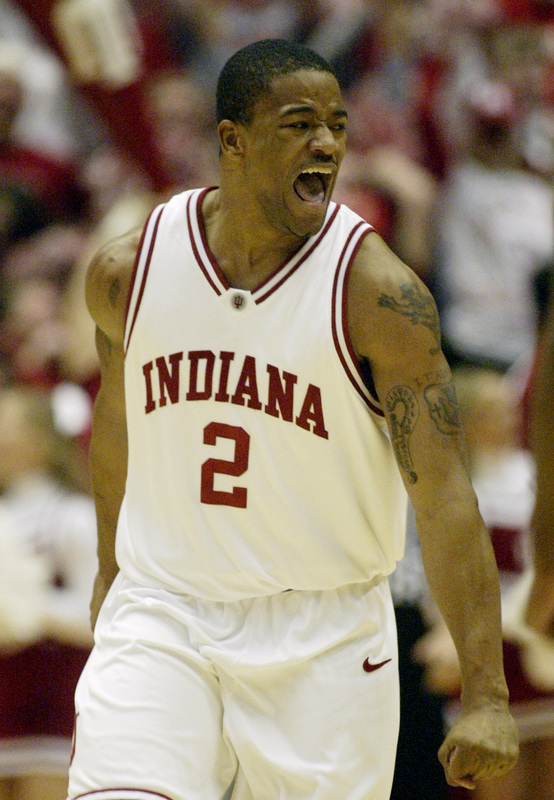 Moye didn’t have the stats or the accolades, but you’d be hard-pressed to find a player that better defined what it means to be an Indiana basketball player. While only in his senior year did he average in double figures for scoring, he did the sorts of things throughout his career that don’t show up on the stat sheet- diving for loose balls, keeping plays alive, coming up in the clutch and just demonstrating an overall toughness that made him impossible not to love. 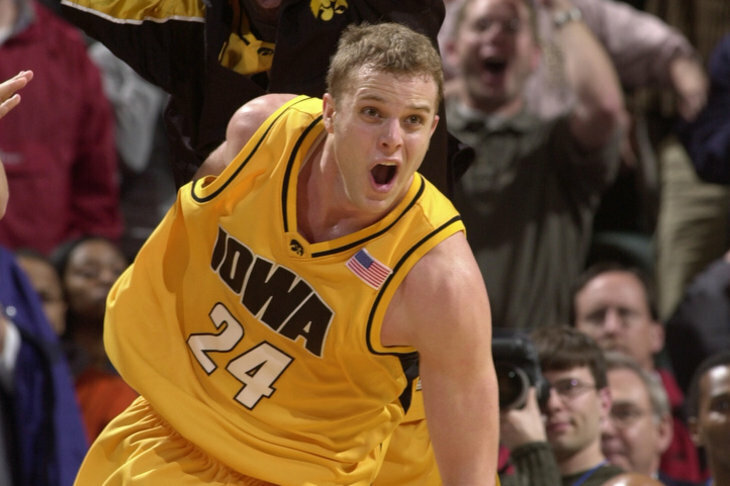 He’ll always be most remembered for the two free throws he drilled against Duke as a sophomore in the 2002 Regional Semifinal, the first of which was the front end of a one and one (and the Hoosiers needed every bit of both points to hang on for the win). He was the definition of scrappy and clutch, and stuck by the program during some tough years and tournament misses towards the end of his career, without ever giving up and bringing his energy 110% every night. It defies explanation somewhat how a player could average a double-double in the Big Ten one year, lead the conference in scoring the next year, and miss out on being named an All American in both seasons. Doesn’t it seem like those types of numbers in a Power Conference in this day in age would make a player a virtual lock for National Player of the Year? However under-appreciated he was, Henderson was an absolute beast, a stretch four who was a threat from deep and a complete terror on the glass. His importance to the 1992 and 1993 teams, even as an underclassman, cannot be understated, as his absence in 1993 prevented virtually any chance that the team had of reaching its full potential. Their season ended at the hands of Kansas in the Regional Final while ranked #1 in the nation. Henderson watched from the bench, unable to play due to a knee injury. 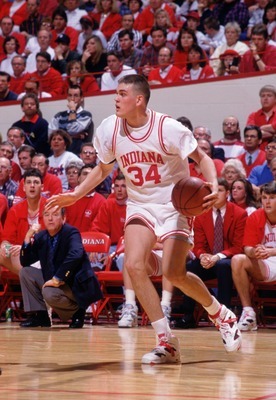 The undisputed best shooter of this era (post-Alford), Hulls was also the full embodiment of the prototypical Indiana player. As an under-recruited Mr. Basketball from Indiana, Hulls made up for his lack of athleticism and size with hard work, mental toughness and consistency. Since the last National Championship, only Greg Graham in 1993 has posted a more impressive three point shooting campaign than Hulls did in 2012 (49.6%) and his performance in 2013 (46.4%) was nothing to ignore either. The fact that he owns the all-time leading effective field goal percentage record for the program is a testament to his consistency and potency, especially when isolated and set. Hulls also holds the record for consecutive free throws made, as he once knocked down an astounding 58 in a row over the course of two seasons. While often a liability on defense because of his size, it was not uncommon to see him stepping in to take a charge or coming up with a loose ball rebound. It is important to remember that to get D.J. White to come to Indiana out of an Alabama high school was a complete and utter heist by Mike Davis. Unfortunately, recruiting out of the South to come to a Midwest school wasn’t a sustainable strategy for Davis, and his inability to recruit inside the state led to his eventual downfall, but D.J. White was indeed a special one. While talented players like Robert Vaden followed Davis to UAB, White was always committed to his University before the coach that recruited him there, and stuck around during the Sampson transition to produce two spectacular seasons, the final of which remains the last Big Ten Player of the Year award given to a Hoosier to date. 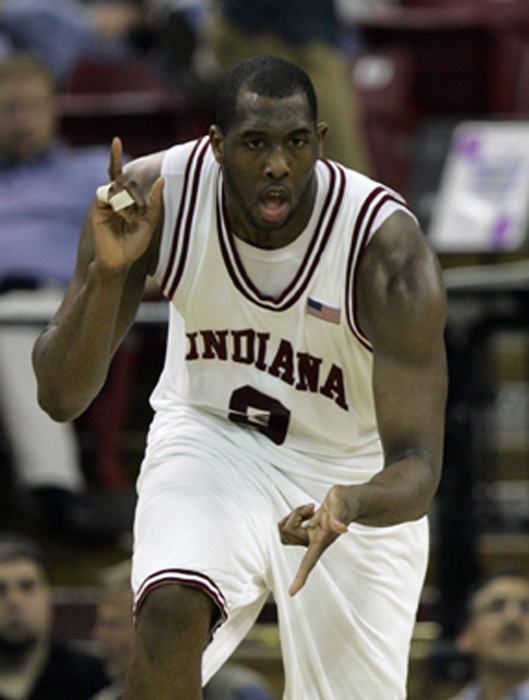 He averaged a double double over the 2007-2008 season, the last Hoosier to accomplish that feat as well. I will always view the ending of his career as a tragedy, as the young man gave so much to the program and demonstrated such loyalty during such turmoil over his four seasons in Bloomington, that for it to end in a cloud of smoke with such a talented team in his senior season as the Sampson allegations hit just seemed so incredibly unfair. He will always be one of the IU greats nevertheless, and has continued to be a strong supporter of the program in the aftermath. Guyton was as dominant a scorer as Indiana has had over this time period, and the numbers speak for themselves. While he never had a season of higher than 45% from the three point line, he shot accurately enough to hold the all-time record from beyond the arc, and his all-time scoring numbers rest within the top five for the program. 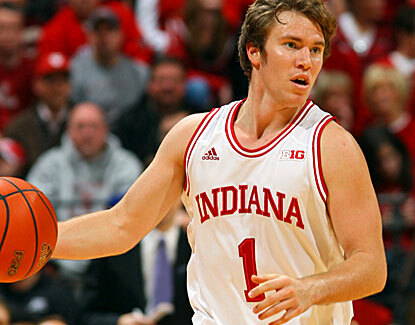 He is one of only three IU players on this list to earn a spot as a 1st Team All-American. Amazingly, Guyton never played in a Sweet 16 game, as towards the end of the Knight era the team was plagued by early tournament exits. During his senior season, he came to the adamant defense of Coach Knight as the Neil Reed choking allegations hit, and shook off the outside distractions to deliver the most spectacular season of his career, scoring 19.7 ppg and earning Big Ten Player of the Year honors as well. What made Oladipo so special is that his spectacular 2013 campaign seemed to come literally from out of nowhere. His athleticism had always been there, but something happened to him between the 2012 and 2013 seasons and he was able to combine his hyper-athleticism with rock solid fundamentals. The result was an unprecedented improvement from a limited role player to the single most exciting and tenacious basketball player in all the land in the year 2013. Oladipo shot over 60% from the floor including close to 50% from behind the arc, a vast improvement from prior seasons, and was named Big Ten Defensive Player of the Year after averaging 2.2 steals and 6.2 rebounds per game. In addition to his uncanny ability to have an effect on every play on both sides of the ball, Oladipo was the most explosive, confident player at the rim that I can ever remember watching as a Hoosier, and combined his abilities with a humble, happy-go-lucky off the court persona that only added to his intrigue. As one of only two National Player of the Year winners over this time span, his placement near the top of this list is a no-brainer. Cheaney was the anchor on what was arguably the best group of recruits to come through the program over this era. His consistent dominance throughout his career is without peer; while he is the only player on this list to be named an All-American more than once, he actually accomplished the feat in three consecutive seasons. Over his career, his 55.9% field goal percentage is remarkable considering how many of his shots consisted of long jump shots. His 1993 Hoosiers remain the only team over this era to finish the season ranked #1 in the AP Poll, and his value to that team goes without saying, as he was named National Player of the Year. As the All-Time Scoring Leader not only for the Indiana program but for the Big Ten Conference as well, placing anyone else atop this list defies credibility. Cheaney gets an added bonus for sticking by the program during tough times and for his commitment to this year and future teams as the Head of Basketball Operations. I think I speak for every one of us Hoosier fans when I say that it is great to have Calbert back sitting on the bench these days. Does everyone remember how overmatched Indiana was coming into this game? I can’t think of a single analyst that picked them, and for good reason; Oklahoma was many people’s choice to win it all, and Indiana was coming in as a big underdog and seeded #5 in the South Regional. But those of us who believed knew that the Hoosiers had one last miracle left in them during their furious charge to the championship game in 2002. Worthy of note is the fact that Indiana actually trailed by four at the half, but went 8-13 from three point land on the game, a statistic that was key to their success throughout their tournament run. Over a decade later, it is still tough to believe we were heading to the National Championship for the sixth time in history following this unlikely upset. Admittedly, at the time, this seemed like a sky-is-falling loss which turned out to not be the case. In fact, one could argue the utterly brutal specifics of this loss lit a fire under this team that would lead to successive road wins against much tougher teams in Michigan State, Ohio State and Michigan. But with the bitterness of the rivalry between these two schools still fresh despite Bruce Weber’s departure, this was an incredibly tough pill to swallow for die-hard fans. I for one didn’t sleep for at least a couple of days. While everyone wanted to talk about how utterly horrendous our defense was on the last play, that has never been a sticking point with me. We were going to get destroyed in overtime anyway with the way the momentum was shifting. But to control an entire game by double digits, and then to play as though we were trailing while up ten, throwing up quick, ill-advised shots and giving up easy jump shots on the other end, was particularly stomach-churning. The fact of the matter is, no one should have been talking about the last shot, because the last shot should have never happened. Indiana had the ball with the shot clock turned off and a tie game. That should mean overtime in a worst case scenario. Instead, Victor Oladipo, in perhaps the only mistake he would make in his entire junior season, saw a lane and tried to go behind his back to get there, only to be picked by D.J. Richardson. To his credit, Oladipo made a tremendous play to get back after the steal and make what should have been a game saving block. Then, with under a second left, the above happened. It has been a recurring theme in this feature to seek out great Italian table wines, especially in the winter when I tend to fire up the stove and churn out hearty Italian cuisine. Wines from this area of the world have become somewhat saturated, and if you don’t know what you are doing, you can end up with a pretty subpar bottle in the lower end of the price scale. Luckily, there is an abundance of solid producers from this great country still making affordable table wines that provide some of the best value for the dollar in all the world, and you’d be hard pressed to find better wines to pair with food than those based with Sangiovese. So, instead of dropping $150 on a bottle of the famous Testammata Blend from Bibi Graetz, seek out the Casamatta table wine for less than a tenth of the price. You can essentially buy a case of the table wine for a price equal to buying a single bottle of the higher level offering. In the case of the 2011 vintage, this an easy decision. Bibi Graetz Toscana Casamatta Rosso 2011, 89 Points, $12, 6000 Cases Imported- Ripe red cherry and licorice on the nose. There’s an impressive rustic note up front on the palate, as wet stone mineral, cigar box and loam intertwine with fresh, ripe cherry, licorice and plum fruit, finishing with a subtle note of graphite and spicy tobacco earth.